This picture reminds me of a tree in a forest. 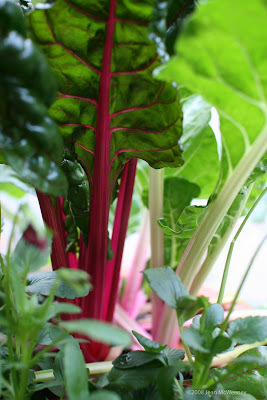 Chard is such a wonderful colour to have in the garden at this time of year. This is the first year I have not grown any Swiss Chard and I miss them! Lovely shot you posted. Just wanted to pop by to wish y'all a very Merry Christmas and all the best in 2009!